Foxconn is pressing hard for a deal that would give it 25 percent of Toshiba's chip manufacturing business —an arrangement that would end up with Apple controlling 20 percent of the equity as well. On Wednesday, Bloomberg reported that Foxconn was swooping in on the chip arm of Toshiba, as other deals started to stall. While no amount was specifically declared, people familiar with the matter claim that the offer is more than the most recent $19 billion deal by a group led by Bain Capital —that also has Apple in the mix. Beyond Apple, Foxconn is reportedly supported by SoftBank, Sharp, and long-time chip vendor Kingston Technology. Foxconn spokesman Louis Woo said that his company would hold 25 percent of the equity, Apple 20 percent, Kingston Technology 20 percent, Foxconn-owned Sharp 15 percent, SoftBank 10 percent, with Toshiba retaining 10 percent. "What this customer consortium means is that it will provide steady funds to Toshiba to advance their R&D," said Woo. "At the same time, it's a guarantee there will be more customers lining up to buy their products when they increase their capacity or have better products." The deal with China-based Foxconn may run into political problems. The Japanese government and the company itself have been reluctant to sell the division to a company outside of Japan, to avoid the loss of trade secrets to other countries. Toshiba's memory unit has been up for sale in an attempt to deal with billion of dollars in losses from its bankrupt U.S. nuclear power arm, Westinghouse. The Westinghouse failures in the U.S. are attributed to a declining political appetite for nuclear power, fewer maintenance demands as a result of power plants destined for closure, a shrinking U.S. Navy fleet, and management failures. 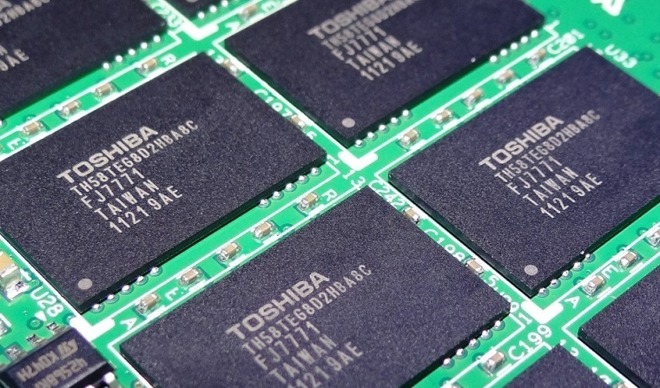 In late June, Toshiba launched a $1.07 billion lawsuit against technology partner Western Digital, trying to keep the chip unit sale on track. It also began blocking access to information in the joint venture, charging that Western Digital staff gained improper access to proprietary data. While the top bidder as recently as Aug. 30, it appears that Western Digital is no longer in the running for the company, as a deal involving the company was expected to be announced on Aug. 31. It also looks like Bain Capital's deal that also had Apple as a partner has fallen by the wayside at this point.